Austin CPA Accountant | Where Peace of Mind is the Bottom Line! 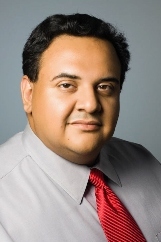 Tony Ramos, CPA, is dedicated to helping Austin businesses succeed financially. As a full-service CPA firm, I provide accounting, tax, financial management and business advisory services for small businesses in Austin and the surrounding communities. I will assist you with every aspect of your accounting needs, whether its financial statement preparation, budgeting, or bookkeeping to more specialized areas such as business formation or QuickBooks accounting system implementation. Beyond the standard tax preparation services, I will work with you in an ongoing effort to minimize your future tax burden. Click here to view our Tax Tips. Assisting you with your accounting and tax needs is only part of the process. The goal is to build long-term, client-focused relationships. I approach each client relationship as if I were a partner in your business. I take the time to know and understand your business and individual financial needs to deliver personalized service that will help you achieve your goals. Call today at 512-326-2394 and ask for Tony Ramos to discuss your business needs with an experienced Austin CPA. We're knowledgeable about creating business entities and advising new business owners. Tax preparation, retirement planning, and other financial management services for individuals. Medical practices, law firms, technology businesses and other small businesses.